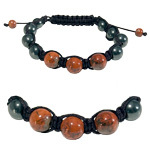 Shamballa bracelets symbolize karma, inner peace, tranquility and happiness. 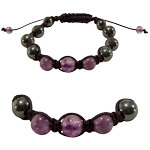 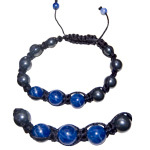 Each semi-precious stone is combined with beautiful hematite beads and is held together with a black cord that easily fastens with two small beads at the end. 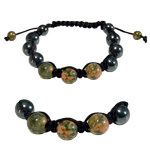 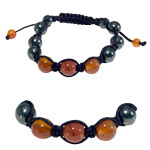 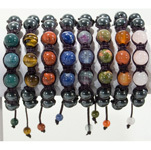 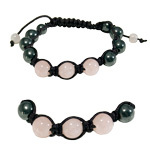 Shamballa bracelets can be worn by men or women. 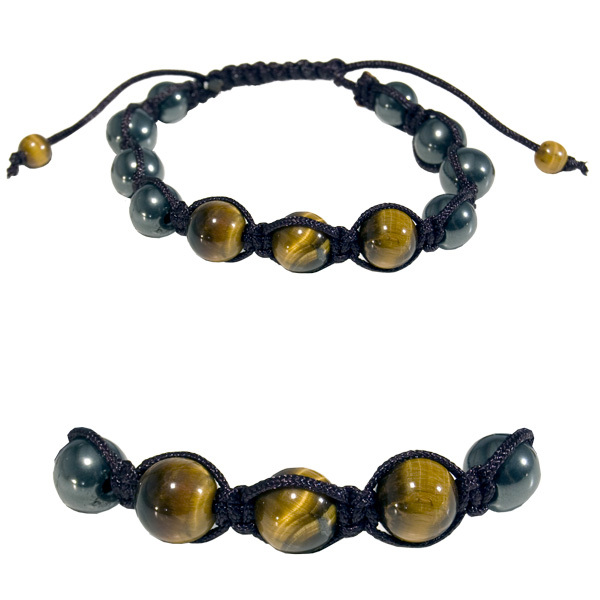 Gold tigers eye is a gemstone in which crocidolite has been replaced by quartz, while its fibrous structure is preserved. 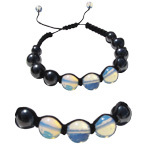 The shimmering eye-like nature, called chatoyancy, is caused by these fibers. 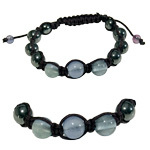 Enhances connection with personal power and will and help manifest what one is thinking. 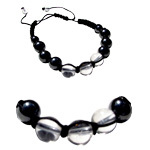 Assists clear perception and insight and acts as an emotional balancer. 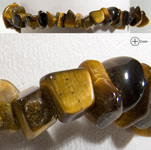 This hematite is polished oxide of iron. 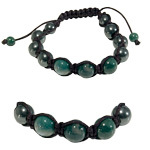 It is said to have a positive effect on the bloodstream and increase resistance to stress.